I’ve been a fan of Dean Coffey’s brewing since his days at Angelic Brewing Company. I’ve had a couple other Ale Asylum beers. My favorite is a hoppy as hell amber that bears the name Ambergeddon. I had high hopes for Contorter Porter. I opened the bottle and poured the dark brown ale into an imperial pint glass. An inch thick, frothy beige head quickly formed. I held the glass to my nose and found the aroma to be sweet with hints of chocolate. 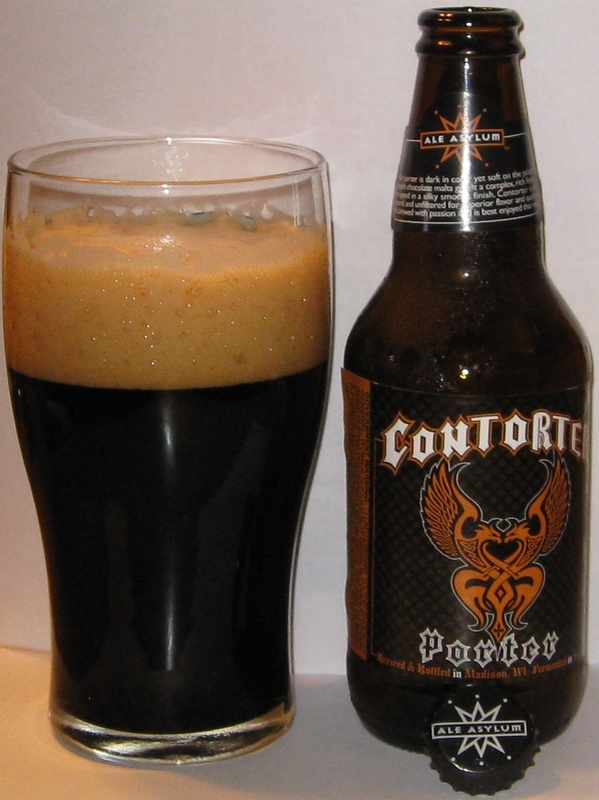 However, Contorter Porter actually seems rather bland. The malt flavors were distant and almost non-existent and were followed by a ever so slightly bitter aftertaste. It was actually pretty disappointing. I’ve enjoyed some of Ale Asylum’s other offerings and have been looking forward to cracking open this bottle of Contorter Porter. The Ale Asylum website describes Contorter Porter as complex with a rich flavor and silky smooth finish. Maybe it’s just over my head or something. Maybe my tastebuds just aren’t equipped to handle the “complexity” that Contorter Porter brings to the table…who knows. I really wanted to like this one. I took each sip with great care… I tried to find something, but all I really found was disappointment. While I would happily recommend other Ale Asylum beers…for instance, Ambergeddon is fantastic…I’d recommend that you steer clear of Contorter Porter.